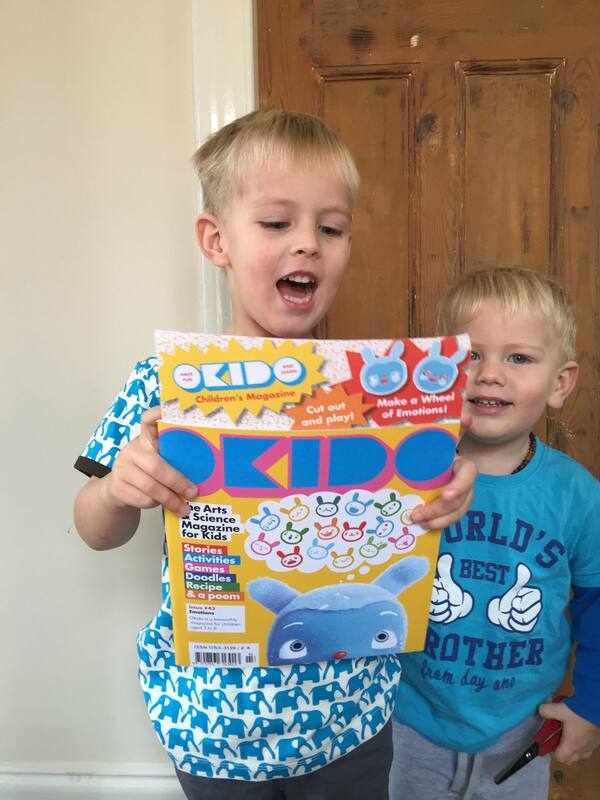 We were sent some copies of OKIDO magazine to read and tell you about! 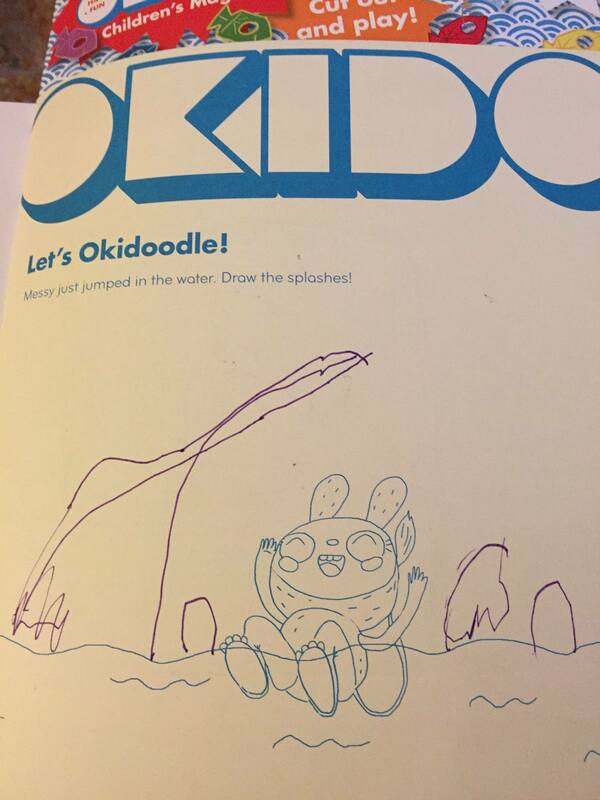 We tried the issue of OKIDO that is all about water. Okido Magazine is full of stories, activities and games, designed to stimulate creativity and inspire scientific interest. We took a look at the issue of Okido that is all about water. The issue begins with a story about the Messy Monster and two children Zoe and Felix, who go on a trip in a bath. This was James’ favourite part of the whole magazine. He has asked for the story to be read over and over. James is four, and really enjoying colouring at the moment. 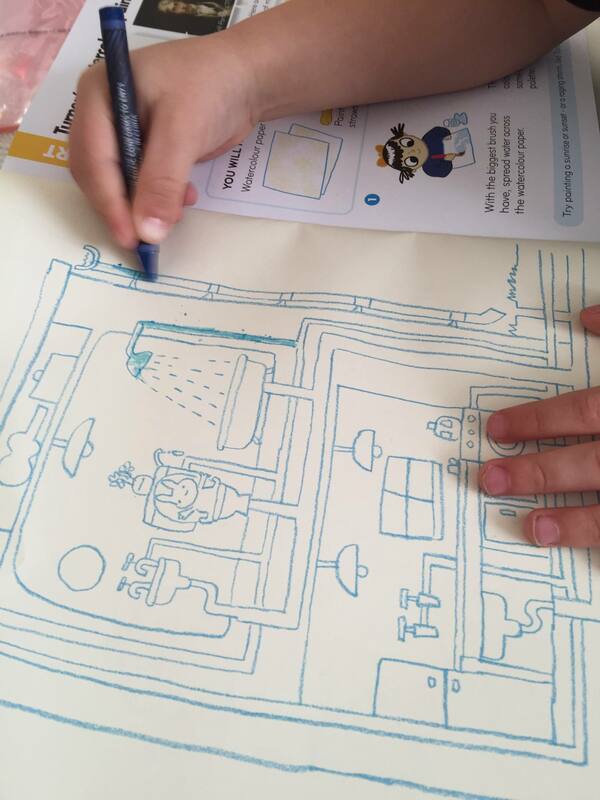 He is very good at staying between the lines, and so he was able to manage this task, of colouring in all the water pipes in this drawing of a house. I left James to it for a while and came back to find he had drawn in the splash around Messy, and told me all about it – anyone nearby would have got really wet when Messy jumped in! 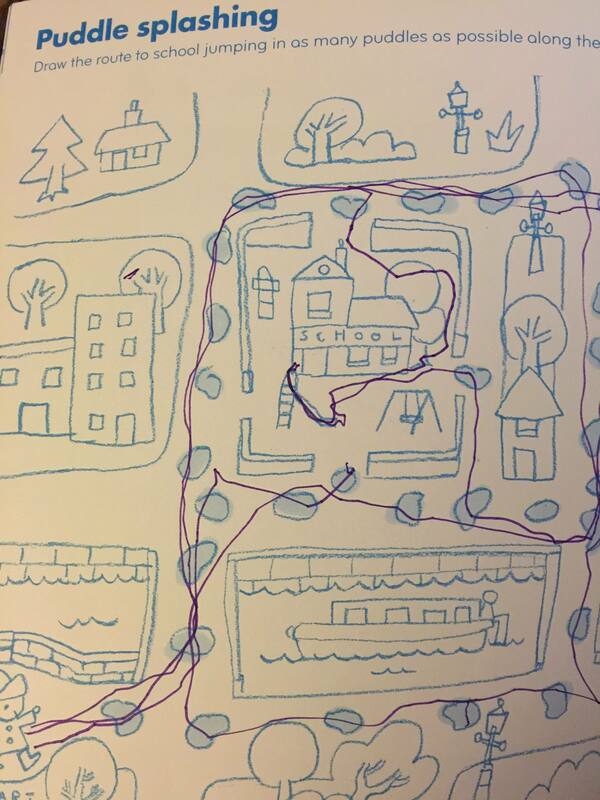 This issue includes this maze. The whole reason for us selecting this issue was that James had spied a maze as I flicked through, so I was quite surprised at his restraint, and not rushing to do it until I’d read along through about 15 pages with him. 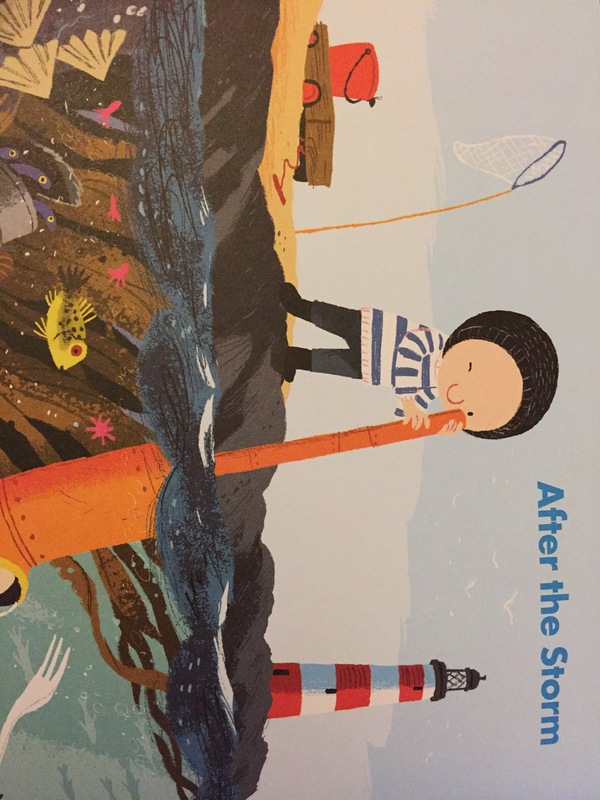 Personally I was pleased to see Noi from the Storm Whale, and pointed him out to James, who said, “Who’s he? What’s his name? That’s a funny name!” and claimed never to have heard of him at all despite us having read the book the Storm Whale a great many times. Later we discussed a page in Okido magazine in which the activity is to colour land-living creatures in red and under water creatures in blue – the whale was the topic of conversation during which James described the Storm Whale exactly, so he was (reassuringly) just kidding earlier – I’d hate for all that reading to have gone in one ear and out the other! We also received a copy of the Emotions edition and some colouring books, but those are going in the bag for activities when we’re in Thailand later this year. We are looking forward to those already! 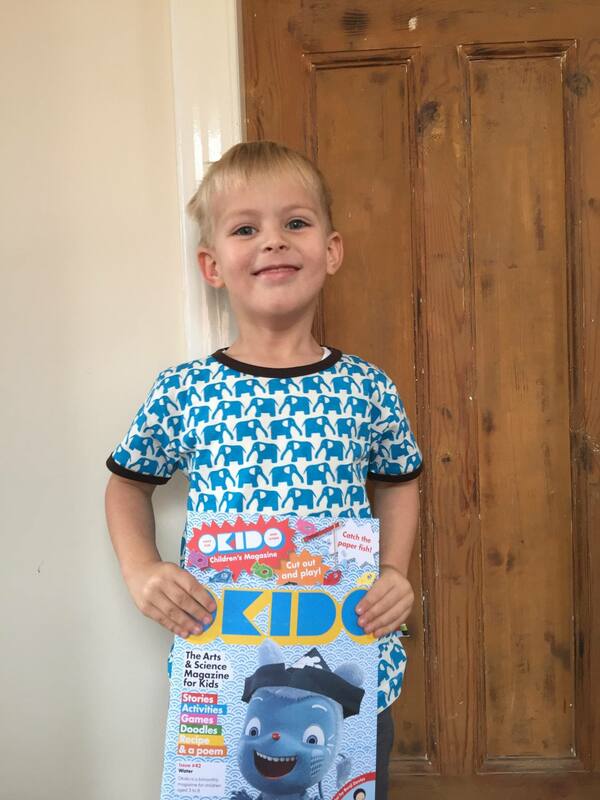 Okido children’s magazine is available for £20 for one year’s subscription (published every two months), or you can buy issues through the online shop, various book retailers and art galleries, and selected WH Smith branches nationwide at £4 each. You can also buy from a few special international locations. Check the Okido site for a full list.